Library: Closes at 6 p.m. Parking: Normal operations. Details at www.icgov.org/parkingoptions. Trash & Recycling: Refuse and recycling will not be collected. Residents on the Monday route should have items curbside by 7 a.m. on Tues., Feb. 20. Tuesday - Friday routes should have items curbside by 7 a.m. on their regular collection day. The City cannot determine exactly when items will be collected. 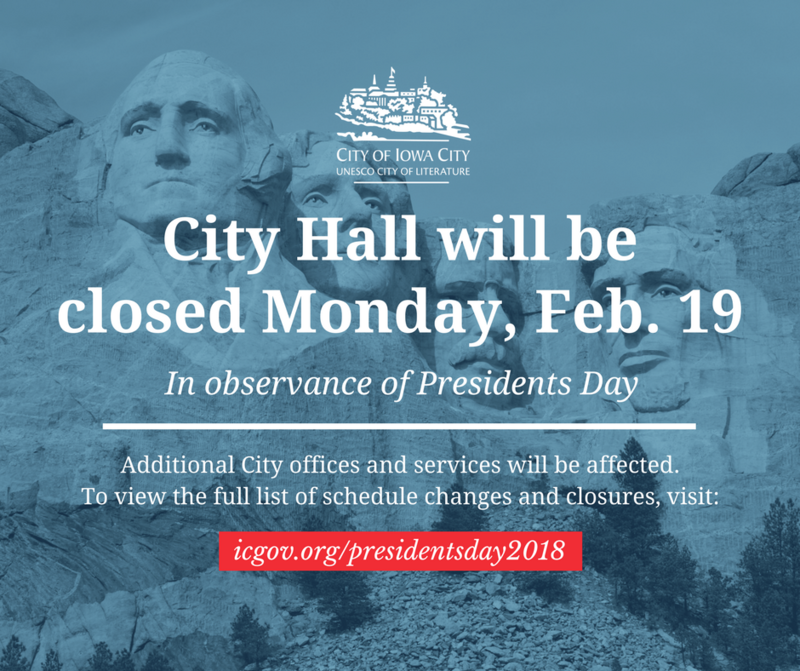 City offices and operations will return to normal schedules on Tuesday, Feb. 20.